Who Framed The Food Truck? Street food laws might finally be changing in Montreal. The opposition municipal party Vision Montreal proposed on June 18 a motion at city council to legalize street food all year long, and last week city councillor Richard Deschamps opened a public consultation on the subject. Since then facebook pages and bloggers’ comments are everywhere; the debate is open. 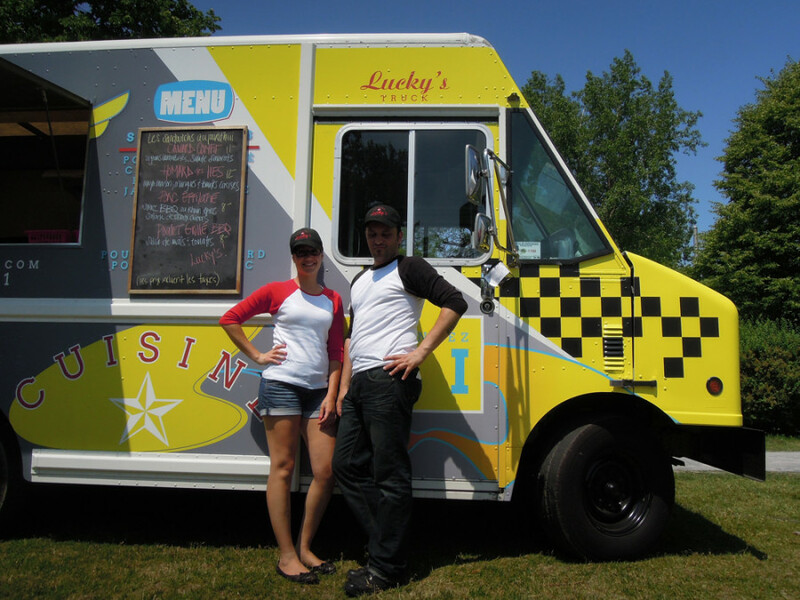 Valérie Impala co-owns Lucky’s Truck which, like all the other food trucks in Quebec, is under the jurisdiction of the Ministère de l’Agriculture, Pêcheries et Alimentation du Québec. The MAPAQ has begun issuing sanitary certificates and last week food trucks around the city became eligible to receive accreditation. “As far as hygiene is concerned, the law is not relevant anymore,“ said Impala. “The certificate is posted on the truck.” The law prohibiting food trucks in Montreal was implemented in 1947 on the grounds of public health and hygiene has not been changed since. Lucky’s Truck customers are loyal and follow the truck wherever it goes. Impala said that people call her or follow the truck via facebook and twitter. According to Cerf, the consultation is a first step but the debate is not over. “They do not recognize us as restaurants, but we are paying the same taxes,” said Cerf. As she points out, restaurant owners seem to be the most reluctant to see this law pass. However Georges Najjar, who has owned Kafein on Bishop Street for 10 years and also owns Gourmet Burger, would like to see a new law enforced. “If the regulation is changed, I’d buy a food truck right away,” he said. According to him there is no competition–it’s not the same food, and not the same consumers. Food trucks also won’t be working during winter, as they are not equipped for the cold temperatures.